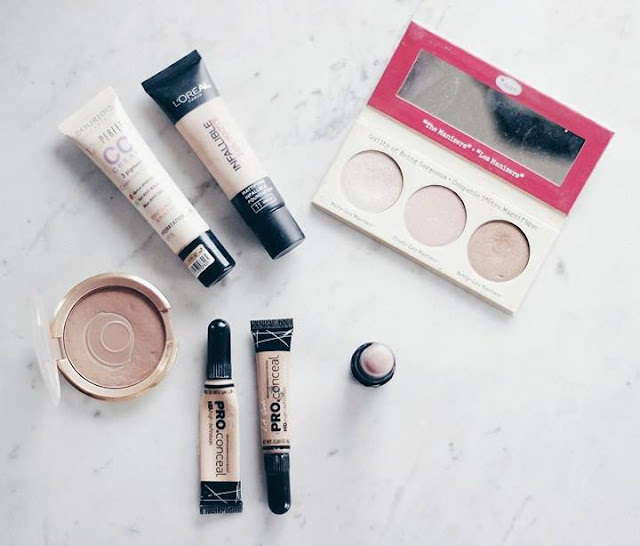 The Drugstore Guide To A Flawless Base. I love playing around with the makeup I already have in my stash and this sometimes results in a "lifetime" habit. Today, I want to share some of my favorite products I use on a daily basis to achieve that flawless-skin look without looking overly made-up. Wanna have a read? Since I'm neither the lightest shade in most foundations, neither the second-to-lightest shade, I always have to mix my foundations. A combination I have been loving recently is the Bourjous 1-2-3 CC cream in number 32, with the L'Oréal 24H Matte Foundation in Vanilla. 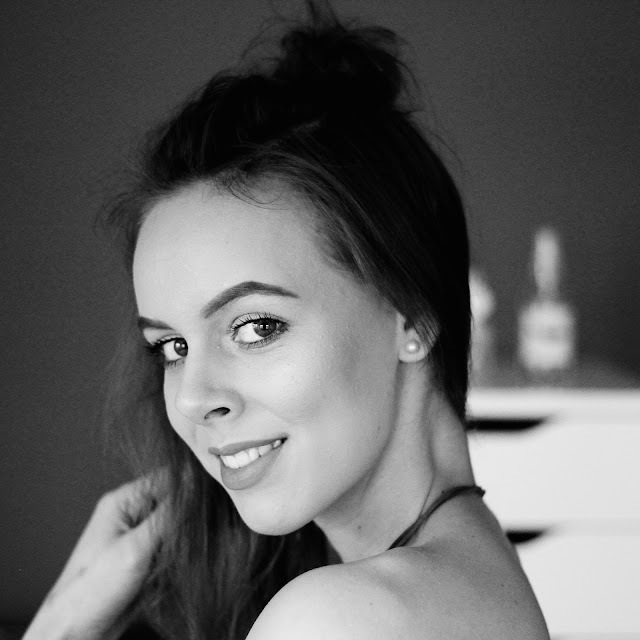 The CC cream gives me the luminosity that I want and the L'Oréal foundation provides that extra bit of coverage and makes the overall look a bit lighter, which suits my complex. Next up: concealer. I have tried a lot of concealers in the past 7 years, but I can say that the LA Girl Pro Conceal is my absolute favorite as far as drugstore concealers go. I use the shade Light Ivory to highlight under my eyes and the center of my face, and the color Chestnut to give me a subtle contour. These blend like a dream and look super flawless without looking thick! Bronzer: of course, I live for this stuff, it makes such a big difference as I'm super pale at the moment and basically have 0 definition in my face. This one is surprisingly enough from H&M's makeup range and it's in the colour Gorgeous Tan. 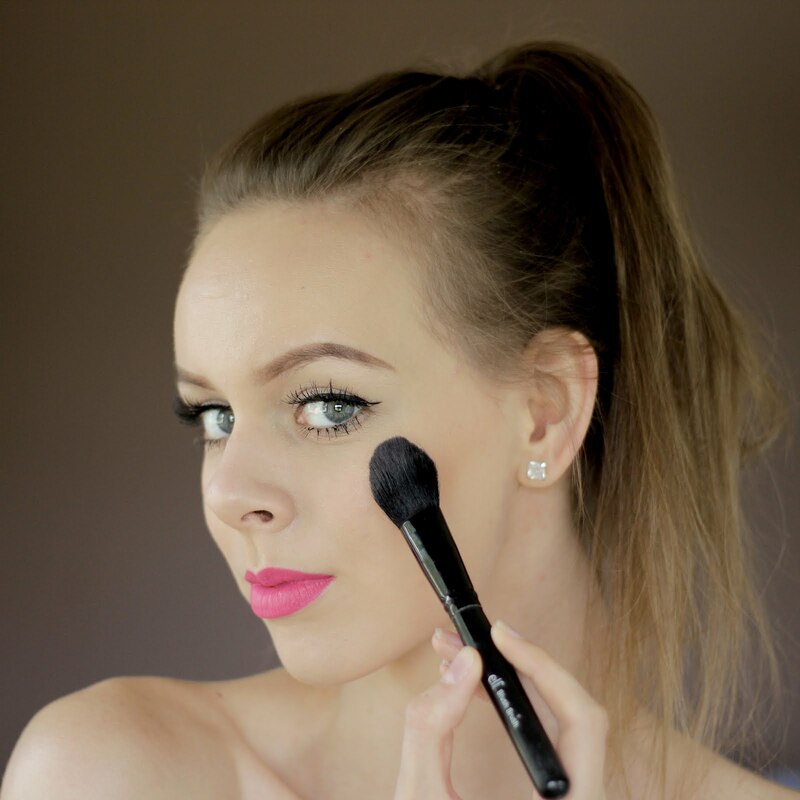 It looks super natural, blends super easy, and is really cheap as well! The star of the show: highlighters. I don't know how we ever thought our make-up looked complete without applying highlighter. I really like the Maybelline Strobing Highlighter sticks, which you can apply underneath or on top of your foundation (both ways look super-nice), and the The Balm Manizer Highlighters will always have a special place in my hearth. Glow, come to mama! If I have a little more time, I will add some extra contour with the Morphe Pressed Powder palette, but if I'm in a rush, these are the products I typically go for! Which drugstore products do you really like at the moment? Look: Pinky-Red is my Jazz. Seen @ NYFW: The braided top knot. Hair Products: The essentials for fine hair.